Coming out of high school, I was the typical born-to-be-an-engineer kid. My room was filled with way too many Legos, about half a dozen different contraptions, and projects that I had built in my free time. But that wasn’t the entire story – I had been involved in student government and a plethora of leadership activities that I had loved. I knew I couldn’t just give up that portion of myself that I clearly had a passion for. When I found out about M&T I was stunned. I could have sworn they built the program just for me, but as it turns out I wasn’t the only one with that problem. There are actually a handful students just like me all over the nation and year after year, they all come together at Penn for what I can only describe as the most formative program and experience in my life. Being around like-minded students all year amplifies your passion and drive in a way that must be experienced to believe. 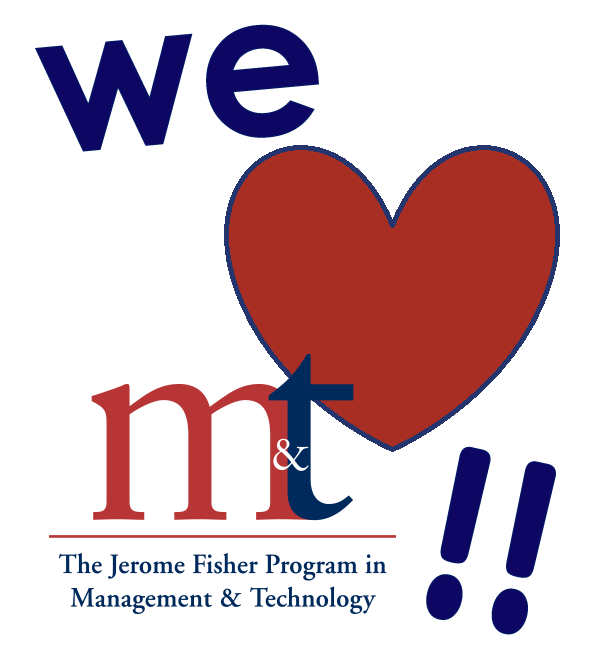 I simply would not be the person I am today without the M&T Program, its incredible staff, and its inspiring students. Bahram came to Penn from Los Alamos, New Mexico and is currently on the Corporate Committee of the M&T Club Board. He studies Mechanical Engineering and Applied Mechanics within Penn Engineering and has yet to declare his concentration in the Wharton School. M&T gives me a lot of things I know I wouldn’t find anywhere else. M&T gives me an unparalleled, interdisciplinary education– which is becoming increasingly more important in light of overlapping industries in the professional world. Being in the program has also exposed me to a world of phenomenal, groundbreaking opportunities and the chance to network with a tight group of distinguished alumni at the top of their respective fields. Finally, perhaps the most important thing I have gained from M&T is a close community: diverse in our interests, passions, and professional ambitions, but similar in our abilities to work hard and have fun figuring out college life together. And with all that being said, I am positive that I made the right decisions and that there is nowhere else I would rather be. Ikshita, originally from Plainsboro, New Jersey, is currently on the Social Committee of the M&T Club Board. She is contemplating studying either Materials Science, Bioengineering, or Chemical and Biomolecular Engineering within Penn Engineering and has yet to declare her concentration in the Wharton School. When preparing for the college admissions process, I looked at a variety of schools that offered great business programs and great engineering programs, but none other than M&T facilitated the study of both. M&T allows me to pursue my passion right at the intersection of business and technology. The concurrent study makes integrating the knowledge across disciplines incredibly inherent and valuable well beyond the scope of learning in the educational world. Moreover, the program provides for flexibility in tailoring the curriculum to any student’s personal interests. For me, this has been transportation systems (something not normally considered by M&T students, yet still possible with the program’s unparalleled structure). The M&T Program also boasts an incredibly tight-knit community that made the college adjustment easy and fun. Making friends with fellow M&T students is almost a given and provides for great discussions and relationships inside the classroom, in the corporate world (for job and internship searches), and at Ware (the place that so many M&T freshmen call home). I know I made the right decision to apply to M&T early and could not have been happier with the result. Jeff hails from Voorhees, New Jersey and is Communications head of the M&T Club Board. He studies Systems Science within Penn Engineering and has yet to declare his concentration in the Wharton School. I learned about M&T in an admissions information session at Penn that I attended during my junior year of high school. Another prospective student in the crowd asked the admissions officers to speak about the different dual-degree programs at Penn. As soon as the admissions officer mentioned M&T, I knew it was right for me. Before that, I had been planning to apply to engineering programs for college. I was interested in engineering because of its potential to impact people’s lives. But an engineering innovation sitting on a shelf is useless. That’s why I knew studying business in conjunction with engineering was an incredible opportunity. By understanding two very different but often entwined fields, we are equipped to make unparalleled impact on the world around us. Elise, originally from Honolulu Hawaii, is currently Corporate Committee VP of the M&T Club Board. She studies Bioengineering within Penn Engineering and Marketing, Management, and Entrepreneurship & Innovation in the Wharton School. What I love about M&T is the “work hard, play hard” mentality of the students. The M&T Community is home to some of the smartest minds in the world, but what is unique is that these students are also the same kids that you are able to have fun with. When M&T students are not in the classroom, they are traveling the globe, exploring Philadelphia, conducting research, performing in student groups, following their passions, and pursuing unheard of career opportunities. With the rigorous academic curriculum, I find it refreshing that I have the flexibility to learn outside of the classroom. Last summer, I had the opportunity to work at Locality, a start-up founded by an M&T alumnus with another M&T, who is also one of my best friends. This coming fall, I am studying abroad at Hong Kong University of Science and Technology. There are few places in the world that prepare you and enable you to have such incredible opportunities, but the M&T Program at Penn is one of them. Adam came to Penn from Fairfax, Virginia and is currently Vice President of the M&T Club Board. He studies Systems Science within Penn Engineering and Finance in the Wharton School.